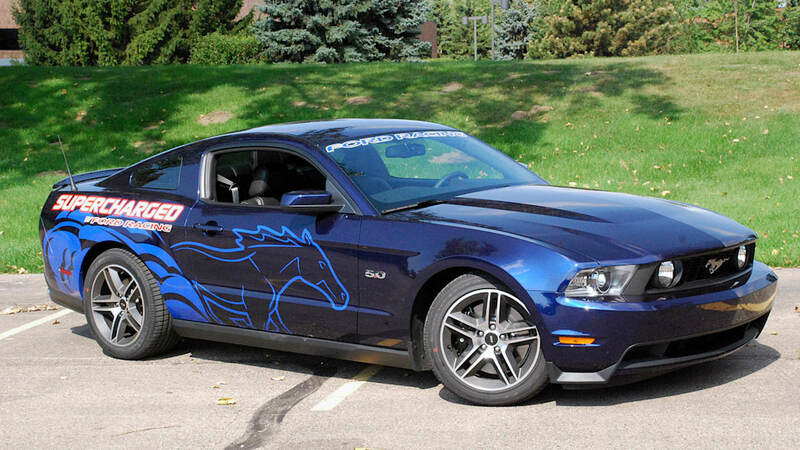 Things just got a lot more interesting for owners of the 2011 Ford Mustang. This weekend at the Woodward Dream Cruise, Ford Racing released its new supercharger package for the new 5.0-liter V8, turning the already potent pony car into a serious drag-strip contender. 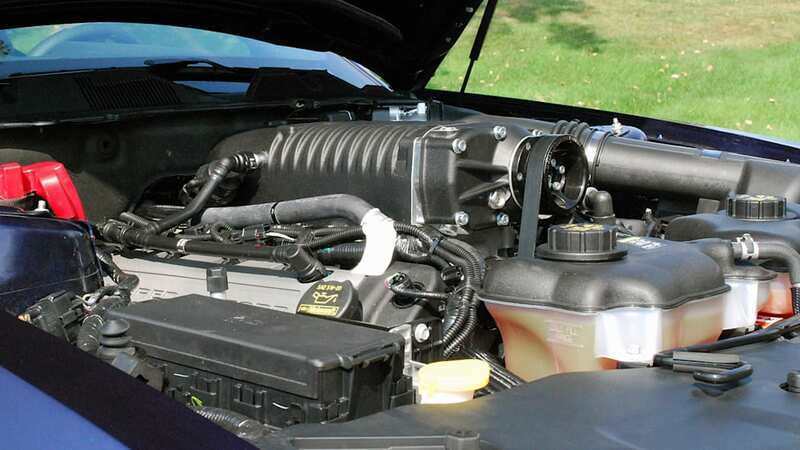 The supercharger system is available in three packages, each utilizing a 2.3-liter Whipple twin-screw supercharger, air-to-liquid intercooler and 47 lb/hr fuel injectors. The base package provides 525 horsepower and 470 pound-feet torque and comes with a 12-month/12,000-mile warranty when installed by a Ford or Lincoln dealer, while the second kit offers 624 hp and 536 lb-ft torque... but no warranty. Finally, those that want to build their own custom system can opt for the tuner kit, which comes with only the core components but needs to be independently calibrated to work with the engine's computer. Hit the jump to see full details on both packages, and if you're the owners of a 2011 Mustang, you've got some decisions to make. Top tip, Panayiotis! 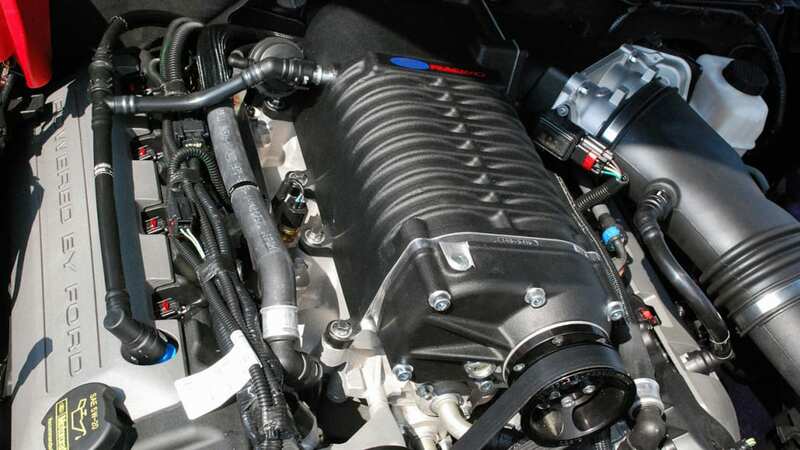 DEARBORN, Mich., Aug. 20 /PRNewswire/ -- Ford Racing has announced today the availability of a new, 2.3L twin-screw supercharger for the 2011 Mustang. 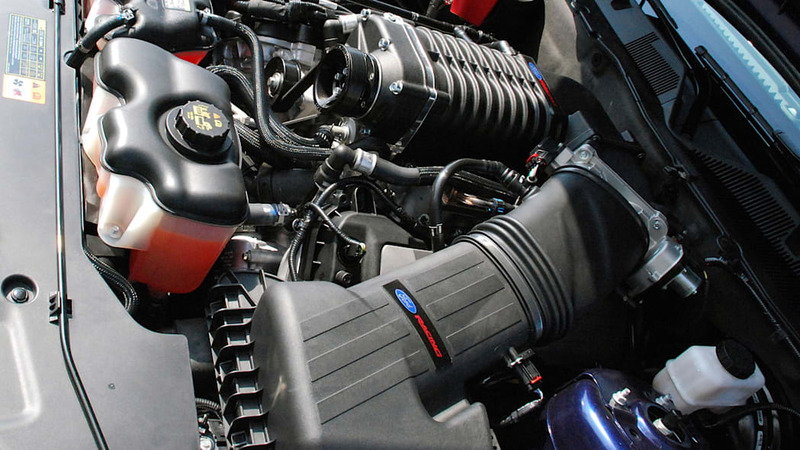 When mated to the all-new 5.0L 4V TiVCT V8 engine, this 50-state-legal powertrain, can produce 624 hp SAE @ 6900 rpm and 536 lb-ft SAE @ 4700 rpm. This is the first Twin-screw unit available to consumers. 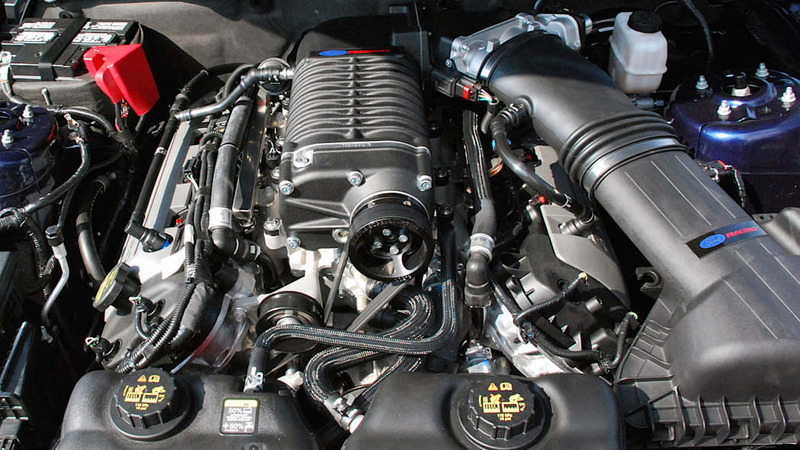 The new supercharger is Ford Racing's first power upgrade component for the new 5.0 engine. 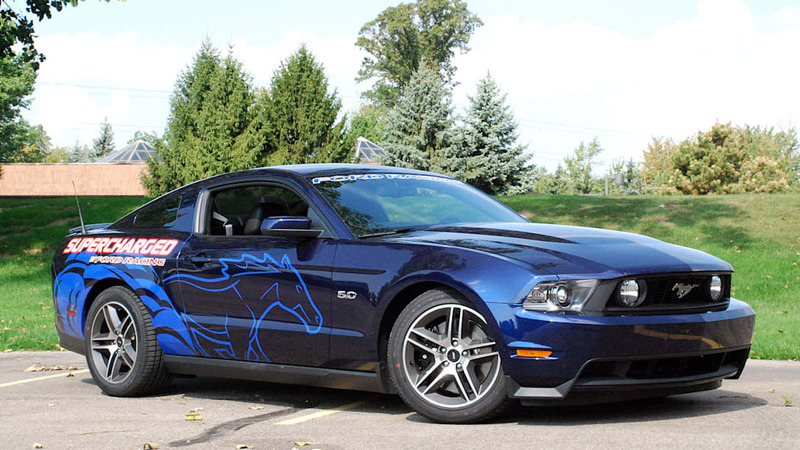 It was developed by Ford Racing engineers, in close collaboration with Ford Motor Company's powertrain engineers, Team Mustang, and key partners in Roush and Whipple. The supercharger is being seen for the first time Saturday at the annual Woodward Dream Cruise in Ford's Mustang Alley display. "Superchargers are the ultimate in power upgrades for Mustang enthusiasts," says George Goddu, Ford Racing Performance Group Manager. "Calibration for a modern V8 engine, especially one with twin-independent variable cam timing, is incredibly complex. Production calibration for the 5.0 engine took 19 months. Having that knowledge base to work from is a huge advantage. "In fact we had the whole engineering background of the engine right from initial concept," Goddu added. "With that knowledge base, and extensive collaboration across the team, we are able to offer a top-notch supercharger, induction kit and the optimum calibration. This results in great power, drivability and durability." "After more than 100 hours of accelerated durability testing, the entire Ford Racing package performed flawlessly," reports Dev Saberwal, Ford Racing's lead calibration engineer. "Ford Racing performance parts are subjected to extensive testing to ensure optimum performance across a broad range of conditions." This supercharger comes as a complete package, and it's available in three levels: a 525 hp kit with a 12/12 warranty; a 624 hp kit and a tuner kit for racing and extreme enthusiasts. Each of these impressive kits gives 2011 Mustang owners the opportunity to boost the performance of their cars to new levels. Ford Racing Performance Parts offers a large selection of performance products from complete race cars to injectors. For Mustang enthusiasts Ford Racing's catalog of performance upgrades offers a range of enhancements for the 2011 Mustang as well as a wide range of power, chassis-system and appearance upgrades for 2010, 2005-2009 and earlier Mustangs.